Members of the Nusra Front and civilians stood near a Syrian courthouse where a suicide bomb attack took place in August. Americans are problem-solvers. We love a good solution. Give us a challenge, and we form committees, assess options, come up with a plan and execute it. This is a highly positive trait. In world affairs, though, it can bring us to grief. Syria is burning in part because the United States is waiting for a good solution. Since all the main alternatives there are bad, we choose none of them. 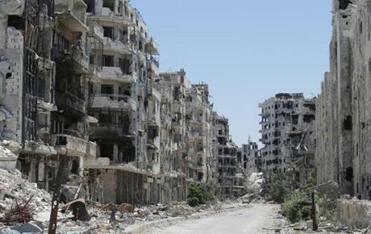 Our immobility has contributed to Syria’s humanitarian catastrophe. When the dust finally settles in Damascus, one of three forces will be in control. One strong possibility is the Islamic State, or ISIS, which wants to make Damascus the capital of its murderous “caliphate.” The second option is al Qaeda, which in Syria calls itself the Nusra Front. The third is the current government led by President Bashar Assad. This is the full panoply of options for Syria. The fantasy of a “moderate opposition” is comforting but far from reality. Supporting fringe groups may prolong the war but will have no effect on its outcome. It is time to get real and choose between the three odious options that actually exist. In this war, the United States has only enemies. We oppose every major force involved on the battlefield: Assad’s government, ISIS, the Nusra Front, Shi’ite militias, Iran and Russia. Although we cry for peace, we have no plan to achieve it. That is because winning in Syria means aligning ourselves with one vicious gang or another. Facing this reality is difficult but necessary. Today we have no strategic goal in Syria — and countries that have no strategic goals can never achieve them. Alex Kingsbury: From suffering in Syria to safety in Conn.
Ahmad and his family fled the blasted-out city of Homs and did not stop running until they reached New Haven. In order to influence the course of events in Syria, or at least to lessen human suffering there, the United States must choose one of three bad options. If we ever reach the point of being able to grasp this reality, the next step is to make a choice. It should be easy. Victory for the Nusra Front would be the ultimate triumph for those who attacked the United States on Sept. 11, 2001. It would give Osama bin Laden a chance to cheer from his pit in hell, and turn Syria into a terrorist haven. A victory for ISIS might be even worse. Either one is likely to lead to genocide. Besides the two million Alawites whose lives hang in the balance, other minority communities are also in danger. Christians are at special risk. 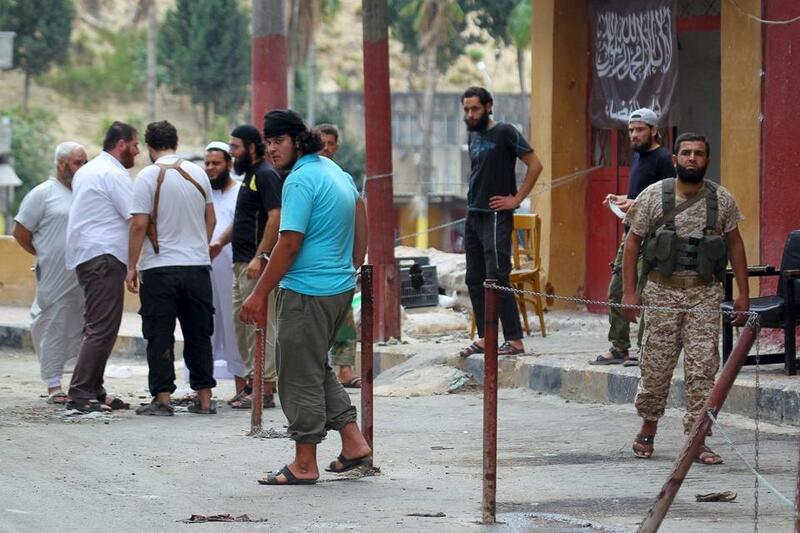 More than one million live in Syria, and all will be in mortal danger if ISIS or the Nusra Front comes to power. This would accelerate the extinction of Christianity in the Middle East, a process that gained decisive momentum when the United States overthrew Saddam Hussein in Iraq. Saddam protected Christians. His longtime foreign minister, Tariq Aziz, was Christian. Now there is no room for Christianity in Iraq. If Assad falls, the same will be true in Syria. Finally we seem to be tiptoeing back from that terribly mistaken policy. It is past time to emerge from our cocoon of delusion. The option of a Syrian regime including Assad or some of his associates is bad, but the others are worse. Continuing to fight Assad prolongs the Syrian war, increases the danger of mass slaughter, and undermines our own security interests.